I am so sick and tired of Tom Brady not getting his due. I'm not saying BAD is dissing him - I'm just picking you guys to write to in hopes that you will read this on the air! Brady: 61.6% completion, avg 3500 yards, 24 TD, 13 INT, and has a career QB rating 87.5. Aikman: 61.7%, avg 3000 yards, 15 TD, 11 INT, career QB rating, 81.6. I excluded Troy's 1st and last year from the yardage, TD and INT stats to further prove my point. Brady's % completion is right there with both, and his QB rating is much closer to Montana than Aikman. He's averaged 500 yards a year more than Aikman, and surprising 1000 more than Montana. He has the same nearly 2 to 1 TD to INT ratio as Montana, far better than Aikman's. He has no one like Rice or Irvin to throw to, and had no Emmitt to hand the ball off to (until maybe this year). So there are people out there saying that Aikman, who had Emmitt and Michael, is a LOCK Hall of Famer, and still say Brady needs to prove something and that he's a BUS DRIVER?!? (And please don't bring up the pass defense changes this year - his numbers this year are remarkably consistent with the 3 years before). Brady isn't the flashy athlete QB that McNabb, Vick and Culpepper are - he is simply the best. Last but not least - Belichick and most of the guys on the Patriots were there since 2000. They had a Pro Bowl level QB (at least considered at the time) in Drew Bledsoe. They were a middle of the road team until Brady came in for an injured Bledsoe. Do you honestly think the Patriots would have even won a single SB with Bledsoe? Since he took over, Brady has been the difference maker. You can say what you want about the watered down talent in the league now, but Tom Brady would have been great in any era. PS - i'm a huge cowboys fan. So don't call me a Patriots homer. Well, Steve, here is what I would say to all of that. First, to call any of the three (Aikman, Montana, or Brady) a bus driver is a gross injustice to all of them. A bus driver in the NFL is a guy who doesn’t have to make big throws in big games. A bus driver seldom wins big games for just this reason. Gus Frerotte is a bus driver. These three are not even close. Now, on to how they compare to each other. Simmer down on this theory that Brady is miles beyond Aikman. I am a huge Brady fan, but to not recognize Troy’s accomplishments in order to prop up Tom’s is hardly fair. True, they both have other mitigating factors that may help or hurt their numbers, but last I checked, QBs get paid the big bucks for what they can win in the month of January. Tom Brady is a stellar 8-0 in career playoff starts. Very impressive. Joe Montana started 7-1, then went on to finish 16-7 with 4 Super Bowl victories. Troy Aikman began his career in the playoffs 10-1, with his one loss being the ’94 NFC Championship game in San Francisco, which was very likely his finest effort of them all. The way I see it, Joe Montana is in an absolute class by himself. What Tom Brady is doing is a wonderful example of nearly perfect QB play over the course of 4 years. Sustain it for another 10 years, and we can begin to discuss whether he is as great or even as some have already thrown out greater than Joe Montana. Montana is the pinnacle of the position and as great is Brady is, to compare him after 4 years with the greatest to ever lace them up is just ludicrous. So, how about Troy Aikman? It seems logical to compare the QB of the only team to win 3 Super Bowls in 4 years to the QB of the guy hoping to match that accomplishment next Sunday. In fact, in some ways, you could make the case that Aikman’s prime was only 4 years long. His excellence was found between 1992 and 1995 and closely mirrored the success of the team. His numbers are pedestrian when you compare them statistic for statistic with other QBs in the era. Frankly, most people are shocked when they read Aikman had only 1 season where he eclipsed 20 Touchdowns. But what makes Brady and Aikman similar is that they both played their best in the biggest games. Aikman’s QB rating in the Super Bowls of 111.9 trails only Montana, Bradshaw and Plunkett. His playoff numbers constitute the finest 16 game stretch of his career. In short, he was absolute money when the Cowboys required as much. Look, I agree that statistics are fun to discuss. But Brady supporters cannot bust on Aikman’s numbers out of one side of their mouth, and then tell Peyton Manning supporters that numbers aren’t as important as results out of the other! That is textbook hypocrisy, and something that I just cannot recognize. The bottom line is that in each decade, it seems that we have this debate. Last decade it was Aikman versus Marino. 25 years ago, Bob Griese had the rings and Dan Fouts had the numbers, while 35 years ago, Fran Tarkenton had the stats and Bart Starr had the championships. And in each case, the QB with the wins had the lesser numbers, but the better supporting cast. The QB with the stats did not always have the pieces to help him do well in the post-season (provided that he even made it that far). But to differentiate between Troy Aikman and Tom Brady is nearly impossible. Both appear to be Hall of Fame QB’s who saved their best play for January. Both will never be the fantasy football superstar, and both will have a handful of rings when it is done. To say one is better than the other is like saying 2.1 million dollars is more than 2 million. Yes, that is technically correct, but they are both enough to buy what you need. Don't ask me about Ryan Perrilloux or Martellus Bennett. I don't like it. I don't like to write about it. I don't like to hear about it. If I want to read about the daily brainpan meanderings of pampered, self-absorbed 18-year-olds, I'll buy that Olsen twins video, thank you. COST IN TRANSLATION: Here's something for all of you who constantly carp about the Yankees' payrolll: English soccer team Chelsea reported a pre-tax loss of $165 million last year, thanks to a payroll over $218M! Manchester United's payroll at the same time was $145M - while the Premiership's bottom-feeding West Bromwich Albion's payroll was just $22M. Kansas City's new sister city: West Bromwich. For Amazing Race 7, the return of Boston Rob …I will watch, but I have seen enough of this dude after 2 seasons on Survivor. By the way, word is that the wedding will be at the end of the season. Nothing too special for you on a Sunday edition, except this gem. Over dinner last night, the topic of football cards came up between Mike Rhyner and me. I mentioned to him (and now to you, dear reader) that I had discovered a wonderful website FootballCardGallery.com that appears to have pictures of nearly every old football card. Rhyner suggested Unitas appears quite stoned. I will not assume anything, but it does make you wonder. The Mavericks are 0-8 this season when scoring below 90 points. It is off to Jacksonville today, and time to get ready for Super Bowl XXXIX. One way is to check in with 2 of the five writers who have been at every Super Bowl. A pretty cool resume item for Edwin Pope, Bob Oates, Jerry Izenberg, Dave Klein, and Jerry Green. I suppose by now they are waiting each other out, hoping to be the final old guy in the press box, but they all are digging in for number 39 this year. Over the years, Edwin has formed lasting opinions. •Favorite interview: Phil Simms, Giants. •Least favorite: Jim McMahon, Bears. "He was a jerk who really worked at it." •Best quote: "A writer asked Duane Thomas, then a Dallas rookie, how it felt to play in the ultimate game? Duane said, 'If it's the ultimate game, why are they playing it again next year?' "
If you are curious, this is 4 Super Bowls for me if you count broadcasting a talk show from “radio row” all week. But I still sit at 0 if you are counting actually going to the game. For some reason, I want to wait until a Super Bowl that has particular meaning to me to attend one. Of course, that would mean Green Bay or Dallas attending it, and frankly, I am not holding my breath for anytime soon. Johnson, who tonight will coach his sixth game in relief of Don Nelson, believes the Mavericks' 28-13 first half has provided signs that they could be championship material if things break their way. And he's not talking about next season or beyond. Never mind that the Mavericks haven't won a division title since 1987, let alone an NBA title. Optimism is running amok at American Airlines Center. "As a coach, you're never satisfied," Johnson said. "A couple of problem areas, we have to get better in. And if we do, then we can have a really special season. And I want them to get that taste in their mouths." And what does "a special season" mean? "A championship," he said. "I've been to the Western Conference finals with this team. A championship is the only thing that's left for this franchise." He followed through by mentioning No. 37. That's Rodney Harrison. "I'll have something for him" when they meet, Mitchell promised. Sirens blared. Searchlights crisscrossed the sky. Reporters in Foxboro grabbed their cameras and microphones and notebooks and rushed to Harrison's locker at Gillette Stadium. They were not disappointed. "Wasn't he a former first-round pick?" Harrison said. The media pack nodded. "But he still hasn't found his way into the starting lineup?" Advantage Harrison. Despite all of the problems the Eagles have had at WR, Freddie Mitchell, despite being awesome in college, has done nothing but spare people to death. Now, after a nice performance versus the Vikes, he is ready to act like he is Jerry Rice. Simmer down now, Fred. He worries because he already lost a close friend and former teammate, Walter Payton, dead at 45 from a rare incurable liver disease. He worries because of the disconcerting news that former NFL great Reggie White died at 43 of a respiratory disease. He worries because he doesn't know which friend's funeral is coming next, and how many more tears he will shed. "All those anti-inflammatory drugs, ephedra, Valium, Percocet and all that Motrin -- stuff that teams gave to players like candy on a shelf -- we now find out about the dangers of some of this," Marshall says. "With all that medication being pumped into them constantly, did that have an effect on them having a short life? At that time, we never knew those things could hurt you." But Turley leveled blasts at Martz last week on ESPN radio, and Wednesday night on the ESPN cable television network. Turley was asked in the TV interview where he would rank Martz among the 32 NFL head coaches. Turley replied: "Ah, man, are they going to have an expansion team? I put him down at 33." Tennessee, Miami and Tampa Bay, for example, are between $16 million and $26 million over the cap, meaning they will have to jettison players and rework contracts to squeeze under the cap by the first week of March. Fuller, who was a star at the school in the early 1990s, was arrested nine months ago after police entered his Tallahassee home and broke up a poker game with pots of thousands of dollars. State law allows card players to gamble only up to $10 a hand. Who is George Sauer Jr? If you are relatively new to Bob’s Blog, you may be shocked by the very random nature of the occasional football history post. In the past, I have featured Joe Kapp, the Immaculate Reception, and many other great old school football topics not because they are relevant, but rather because they are relevant to me. So, feel free to bypass my ramblings about the good old days, or sit back and enjoy today’s entry. So, last night, I am enjoying another hour of viewing from a DVD set I received for Christmas, Super Bowl Collection, I – X , and was watching the summary of 1968 in pro football and then the historic Super Bowl III between the Colts and the Jets. I must tell you if you love old school NFL, you might need to buy this! Anyway, I was enjoying the Super Bowl III highlights that I have seen a hundred times, and was watching WR George Sauer make catch after catch in this game for a total of 8 catches for 133 yards. 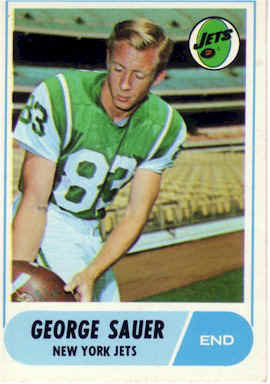 Basically 2/3rds of every yard Joe Namath was credited for went to George Sauer. He was opposite Don Maynard, who had a far less significant contribution to the upset of the favored Colts. Of course, Sauer, is relatively anonymous to my generation, while Namath is constantly presented to us as the one of a kind superstar that he was (despite his statistics being very disappointing). By the way, Namath played well in this game, but the adoration seems excessive for his performance when you actually watch the game and study the statistics. Matt Snell's running and the Baltimore Colts 5 Turnovers were the reason that the 18-point favorite Colts went down to the biggest upset in football history. Of course, Namath did make the guarantee, so history will never forget him. Anyway, a father-son combination in the NFL that I didn’t know much about, but now I am a bit more familiar with the great George Sauer, Jr.
Moore on the Mavs standing pat …I really believe this is the right move. The pieces appear to be here, so no more trades, please! Is this funny, sad, scary, or pathetic? Jean Carlos Chera, a 9-year-old who is 4-foot-6, is attracting interest from Manchester United and other top European teams. Chera, who weighs 77 pounds, currently plays for the youth teams of Associacao Desportiva Atletica, a small club in the southern Brazilian state of Parana. "Seven or eight European clubs have already contacted us to know more about Jean," team president Adilson Batista Prado said in a telephone interview Thursday. "They want to know what he is all about, and I tell them he's a phenomenon, probably the best player to come out of Brazil." What a great road win in Portland last night for the Mavs. Wow. They now sit at 28-13 at the half way point, which of course equates to a 56 win season. Not bad for a team that Steve Kerr had missing the playoffs. Dirk went for 24-15-6, and scored 20+ points for the 16th game in a row. Nowitzki has absolutely taken the next step since his little buddy Steve Nash left town. Without question, he has taken ownership of this team, and now looks far more willing to battle and more willing to lead this Mavericks team. His clash with Zach Randolph is another example of Dirk not backing down to anyone in this league no matter how physical they get. Are these the numbers of a NBA MVP? Don’t know, and honestly, don’t care. The bottom line is that Dirk has become the superstar that this team so desperately needed him to become. He no longer drifts through some games, and is seldom denied the ball at crunch time. Maybe most importantly, defense is not a language he does not understand anymore. He is one of only 4 players in the top 30 in the league in steals and blocks. At the age of 26, he appears to be on the verge of joining the brightest stars in the league. And the Mavericks will be in Title contention as long as he is at this level. Destiny's Child star Kelly Rowland has been hit by reports she's called off her engagement to American football star Roy Williams. The 23-year-old Dilemma singer had been planning to walk down the aisle with the Dallas Cowboys star, 24, in March. And while invitations had already gone out, guests are being called and notified that the wedding has been cancelled. And now, the column of the year. If you read one column today, this is the one. Part of the problem is that Hicks hasn't done what he promised to do, funnel at least some of the money saved from the free-agency departures of Pudge Rodriguez, Juan Gonzalez and Rafael Palmeiro, the trade of Alex Rodriguez and the selling of The Ballpark naming rights, back into the team via free agency. The ill-conceived Carlos Delgado offer and the belated interest in Magglio Ordonez notwithstanding, it hasn't happened. Instead, if the Rangers stick to Hicks' original plan of around a $52 million payroll, they'll rank in the bottom third, maybe the bottom fourth, of teams in baseball. That's embarrassing for a top -five-market team and betrays the public trust. But the problem goes beyond money. It goes straight to integrity and credibility. Hicks' financial pockets may be threadbare, but they're brimming over with gold compared to the credibility he and Hart have with Rangers fans. But, wait, Reevo is not done. There is more! The Rangers do more spin-doctoring than political pundits after a presidential debate. Give it up. Change the philosophy of the organization. Start building it on integrity and credibility. None of the Big Three are bad guys. On the contrary, they're all, in their own way, pretty darn likable. Somehow, though, they've collectively decided that if it takes deception and manipulation to succeed as an organization, then that makes it A-OK. Hey, isn't that the way the government operates, too (and that applies to Republicans and Democrats)? Here's a word of warning: It's not OK. It's not acceptable. If the Rangers seriously want to quit leaking fans, they have to first patch up their credibility. The work starts at the top. Avery Johnson, who already has more practice-floor pull than any other assistant coach in the league, hasn't been shy as the Mavericks' interim coach, either. Filling in for Don Nelson as Nellie recovers from shoulder surgery, Johnson could be heard through the walls after Sunday's victory over Denver loudly -- loudly -- lecturing center Erick Dampier from an office adjacent to the Dallas locker room. Unlike point guard Jason Terry, who looks more comfortable and effective with his new team every week, Dampier has frustrated the Mavs with his penchant for moping when he doesn't get touches or minutes. And while Dampier's presence down low has undeniably solidified the Dallas defense, it's understandable why Johnson especially would be rankled, given his lead role in recruiting Dampier to Dallas after they played together in Golden State. The good news? Dampier, who has been playing on a sore knee, responded to the scolding with his ninth double-double of the season (13 points, 14 rebounds) in Monday's road loss to the Clippers. The most exciting news at the Rose Garden wasn't the petite brunette in Section 112. Sure, Eva Longoria, star of ABC's "Desperate Housewives," made a stylish impression and clapped her hands each time her boyfriend, Spurs guard Tony Parker, touched the ball. Jeff Thomason showed up for work Monday morning at a construction company in New Jersey, when he got the phone call that changed his life - for two weeks, anyway. Thomason, a journeyman NFL tight end who hasn't played since the 2002 season, was asked by Eagles coach Andy Reid if he wouldn't mind playing in Super Bowl XXXIX. Welcome to your wildest dreams, Everyman. You're going to Jacksonville. "It's incredible," Thomason said yesterday. "I'm probably the luckiest guy in the world." He had no idea he would be the guy to replace three-time Pro Bowl tight end Chad Lewis, who suffered a foot injury catching his second touchdown pass in Sunday's 27-10 win over the Falcons. Working as a project manager for Toll Brothers, Thomason asked his boss if he could use his two weeks' vacation a little earlier than expected. "When I get back," he said, "I'll have to work a year straight without vacation." But at least he'll get a handsome salary moonlighting. If the Eagles beat New England, he'll make $63,000. If they lose, he still gets $31,500. 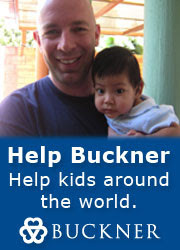 "I know how hard it is to earn a buck in the real world," he said. "I've worked a lot of hours." How did Jacksonville get the Super Bowl? What, Tuscaloosa was booked? If going to Jacksonville for a week is the reward New England and Philadelphia get for being the best teams in the NFL this year, Peyton Manning ought to be happy he didn't get there. Imagine how Manning would have felt, having to play all year in Indianapolis, and then landing in Jacksonville? Which gods would he have offended to get that killer quinella? The NFL must see itself as handing out some sort of charity when it awards the Super Bowl to any place other than New Orleans, Miami and Southern California. Because, believe me, nobody wants the game to be anywhere but there. So when the NFL insists on putting it in outposts like Detroit, Houston or Minneapolis, people ask, "Are you guys nuts?" But when you pick Jacksonville, people are agape and say, "Who in Jacksonville has a photo of Tagliabue with a goat?" There is a great divide right now locally between those that believe the Rangers and those that don’t. The Rangers local credibility has not been called into question like this in a long time. Now, when a story like Delgado develops, you are left wondering if you are getting the full story. The Rangers responded by telling Sloane on Sunday morning that while their Friday proposal was not position-dependent, any increased offer would be. Stated another way, the only increased offer Texas would consider -- over and above the $48 million proposal to Sloane that they'd characterized on Friday as their "best shot" -- would be one conditioned on Delgado's agreement to DH. And the same timetable would be in place; the Rangers would need to have an answer by the end of the day on Sunday. Stated yet another way, the four-year, $48 million offer that Texas made Carlos Delgado was not conditioned on him being a designated hitter, contrary to most accounts. So, here is the rub. Am I supposed to believe that they WOULD move Teixeira, Mench, and possibly Nix around to accommodate Delgado if he takes 4/$48, but they would NOT do this if he demanded an extra million a year? They seem so convicted now that Tex should not be moved, and thus take the best fielding first baseman out to left field, but just 3 days a go, that conviction did not exist if Carlos took that initial offer? That seems like a very dumb/silly reason to position your line-up. Sure, Delgado would have been an offensive threat here. But it's pertinent to note that, had Tom Hicks signed him, Delgado no longer would have had the advantage of facing Ranger pitching. Bringing up another point: The pursuit of Delgado's one thing, but wouldn't a starting pitcher have been better? The Yankees got Randy Johnson. The Astros re-upped with Roger Clemens. Of course, they didn't come cheap, either. More importantly, they wouldn't have come here. Pitchers don't like Ameriquest Field. Too hot, and the ball jumps out of the place. But what about Derek Lowe? A groundball pitcher who might have been a great fit at Ameriquest Field, he instead chose the excesses of Dodgers Stadium. He wasn't great last season: 14-12 with a 5.42 ERA, nearly three runs a game higher than when he went 21-8 in 2002. But he was 3-0 with a 1.86 ERA in the postseason. And if the Rangers ever get there again, wouldn't it be nice to have someone with a track record? Another thing: Isn't Lowe, 31, worth the $36 million over four years he got from the Dodgers? Maybe. But you also hear that it might have taken as much as $12 million a year here. No one knows for sure because the Rangers didn't pursue him like they did Delgado. Only the results were the same. If the Rangers are convinced he's healthy, Ordoñez could be intriguing. He has a .406 career average at Ameriquest Field in Arlington, the highest average for any active player with at least 50 at-bat there. He also averaged 32 homers and 118 RBIs in the five seasons before 2004. So is there a batter who has poor career numbers at the Ballpark? The Rangers were looking at Delgado to be a designated hitter and had the same thoughts about Ordonez. Boras said that's not going to be the case. "Between him, Richard Hidalgo and Kevin Mench, Magglio would certainly be the best right fielder of all three," Boras said. Ordonez is a four-time All-Star, but, for the Rangers, it all comes back to his health. Ah yes, Boras puts Magglio in Right Field. Who would have assumed anything else? In 1986, at a peak in the Bears-Packers rivalry, Martin drove McMahon into the ground after the quarterback had thrown a pass. McMahon was out for the rest of the season with a shoulder injury. Martin was wearing a towel with the numbers of Bears’ players on it during the game. McMahon’s No. 9 was at the top of the list. Martin was ejected for a flagrant late hit and suspended for two games. 2. Paid $2.4MM for Barajas and Alomar, making Laird the #3 catcher. Barajas had two great months and Alomar is decomposing. 4. Has done nothing to significantly improve a team that overachieved and still didn't make the playoffs (I know free agent prices are high, but what happened to financial flexibility?) With the current pricing structure for free agents, that A-Rod deal doesn't look so expensive now, does it? And none of the starters from last year's team are really Hart's guys, save Ryan Drese who we got as a throw-in for the low, low price of freaking Travis Hafner! I am a big baseball fan and it will hurt to boycott the team this season, but sign me up as officially anti-Ranger (with an option to buy back in if they somehow get Sweeney or Maggs). It is not our (or my) intention to “rip them mercilessly”, but rather it is our intention for this ownership and front office to be interested in giving those players that busted their rears last year to give this team a great season a little bit of help. So far, those who wear suits are high on excuses and low on results. But, they still have some time to prove us wrong, and isn’t that why they play? offer they had no intention of delivering on. Thankfully, the above 2 emails are more the rule than the exception. Yet some fans still congratulate Hicks’ newly found commitment to thrift. Wow, his numbers are actually quite amazing. As an aside, I consider myself a big fan of BaD radio (more than any other show on the ticket) and I'm a big fan of Bill Simmons as well, but between his Pats fandom and your anti-Philly rants, I don't think I've ever wanted a team to win more than I want the Eagles to win this superbowl... granted, I know the Pats are the better team and probably will win running away. Let’s all hope that the Eagles do not make me ill this off-season. But, I know many are hoping they win just to spite me. That’s ok.
1. How long do you think it'll take for Donovan to crack the starting XI? Or do you think he'll be a reserve, or will he warm the bench for someone? 2. Will this move finally convince European football clubs that the U.S. can produce top level Talent? 3. What will this do to MLS? They were kinda building their image around him and the other U.S. nationals. You can say Freddie Adu all you want, but he needs to crack the starting lineup (if he hasn't already), score with regularity, and MATURE, before we can start touting him. So what does MLS do now? By the way, keep up the football (soccer) talk on your Blog. Love it. 1. Not long at all. He is too world-class to sit long. 2. They already feel that way. Beasley, Renya, Friedel, McBride and many more show us that Americans can play in the top levels in Europe. 3. MLS is basically what basketball is in Europe. A nice domestic league, but when a player wants to reach his potential, he will have to leave to seek a higher level. In hoops, that is the NBA, but in soccer, that is Europe. There is two things that life has taught me: Never underestimate the power of the idiot and never overestimate the intelligence of the American people. These two things I have learned has helped me in evaluating the situation in regard to the NHL lockout. Apparently, at least by the news that I have read, and the comments that I have heard, the majority of people who are aware, or care (and those numbers are dwindling), about the NHL have taken the side of the NHL owners in regard to the salary cap. How can this be? What intellectual ground does the NHL have on which to stand? The NHL owners state that they want "cost certainty". Well, don't all business owners want "cost certainty"? I mean, wouldn't that be nice? Wouldn't it be nice to work in a economic vacuum, in which all business decisions and all business risks were not subject to the demands and the rigors of the free market system? The fact of the matter is this: the NHL owners are acting like a bunch of children. They put themselves in the financial position that they are in and now they want the players to pay for it by installing a micro-socialist system of salary caps progressive salary restrictions. Another fact to consider is this: the free market already has a built-in salary cap; it is called a budget! If you go outside the budget, you have to cut costs. If you don't cut costs, you face bankruptcy. Like little children, NHL owners do not understand, or do not want to understand, this concept. They want someone else, or something else, to control their costs since they are unable, or unwilling, to control their costs themselves. This reminds of an alcoholic that wants to outlaw booze since he can't control his own consumption of sauce. Unfortunately, these facts have not stopped the American public from taking the owners' side. This largely stems from popular envy of NHL salaries, even though such salaries are market-demand driven, and popular ignorance of economics. Even more unfortunate is that the most recent talks between the NHL and the player's union appear to be amounting to nothing, with there still being a gap on the "philosophical issue" of the salary cap. The only thing that I can hope for is the NHL players to tell the owners to piss off, and then play legal hardball by taking the owners to court and forcing the owners to pay salaries in full, on demand, all at once. Hopefully, if such an action is successful, it will bankrupt the NHL owners. After all, if those owners are not willing to understand or adhere to the rules of the free market, do they really need to be in business? Ladies and Gentlemen, this man knows what he speaks of. Or else he agrees with me, and therefore I am inclined to say he knows what he speaks of. I'm sure you will get inundated with ridiculous stats about why Michael Irvin should or should not get inducted into the Hall of Fame. I did a little number crunching using pro-footballreference.com as a reference for my statistics. Let me preface everything below by saying that I am a Cowboys fan who is 29 years old and spent my high-school and college days (as you talked about, the crux of a fan's life) watching the mid-90's Super Bowl winning Cowboys. And Irvin was among my favorites on that team. But I am only looking at numbers below and I think you will find some very interesting stuff. Some interesting information here. Jerry Rice proves his greatness in two ways. One is that he was in 28 playoff games, that is staggering! Second, he's 2nd of these 4 in every category proves his greatness and overall consistency. What stands out to me though is that in "the big games" Michael Irvin caught the most passes per game for the most yards per game. And remember, Emmitt Smith and Jay Novacek "vultured" many short yardage touchdowns that Rice and Stallworth probably received. That's why Irvin's numbers come down a little bit in the TD category. Overall, great numbers. Now, here's a look at Irvin vs. Art Monk using just regular season games. I added Jerry Rice's numbers for reference (I'm not making a case that Irvin is better than Rice, Rice is significantly better). What I find interesting is that these numbers seem to indicate that Monk has better numbers because of his 4 extra years in the league and 64 or so extra games. If you take their numbers on a "per game" basis, the difference between these two guys is actually staggering. Irvin averaged 0.5 catches per game more, almost 20 yards per game more and 0.1 TDs per game more. And I look at Irvin's numbers in terms of yards and he is actually very close to the number Rice put up. Again, this is not done in order to compare Rice vs. Irvin. I just believe that if you take out some of the current players who are racking up numbers in a new NFL (I would much rather take Irvin over guys like Jimmy Smith, Isaac Bruce, Keenan McCardell, Shannon Sharpe and Larry Centers, all guys with more receptions than Irvin), I think Irvin is a no-brainer 1st ballot Hall of Famer. Vijay appears to be a stats nerd after my own heart. After further review, I agree with Peter King that Art Monk is not a HOF player, but Irvin is. Club officials confirmed Monday that the club has investigated free agent outfielder Magglio Ordoñez, who will be the last major player to sign this winter. Ordoñez, 30, is a career .307 hitter. He averaged 32 homers and 118 RBIs from 1999 through 2003. We are now down to 1 football game this season. Cue sad piano music. ·	This game sure was easy to forecast. Jim Johnson brought the blitz plenty, daring Vick to make throws to beat them. Those throws never came, and the Eagles victory was almost never in doubt. ·	When Tivo was invented, do you think it was conceived with the main purpose of being able to rewind again and again when a fan runs on the field and then is tackled by security? Fox (or, the network that brings you morals) insists that they quickly change cameras to keep this man from offending Joe Buck, but thanks to Tivo, I bogged down for 5 minutes on it. ·	Do the Falcons receivers in any way resemble the group of receivers that McNabb was forced to carry around the field last year? Vick might need a little more help than that. ·	Either I am getting old, or Freddie Mitchell swung and missed when he got his hair did. And, yes, white people, I meant, “hair did”. ·	Does Brian Dawkins make a big play in every game he plays or just almost every game he plays. By the way, the notebook had the word “ballgame” written after that ill-advised throw by Vick. ·	I will admit I love Jeremiah Trotter. He is good strong. ·	Bryant Westbrook may be over-rated by the announcers, but I doubt it. ·	Just as we suspected, the NFC really did only have one good team this year. If the 2nd best team in the conference is the Falcons, then the NFC lacks quality. No disrespect to Philly’s accomplishment, especially given the fact that they did it without the great T.O., but they didn’t have to go through one of the great playoff conquests of all-time, now did they? ·	Figuring that the football gods will not allow the Eagles to win a Super Bowl until they get their thugs (er, fans) under control, is it more delicious to think of a Super Bowl loss being added to the legacy of “next year’s champ”? I wish I could be certain. ·	And yes, I will admit that all Philadelphia fans are not thugs, if you will admit that not all citizens of Nazi Germany were really Nazis. They just went along with the crowd, right? ·	By the way, stop all of the silly “we are really a lot like Boston Red Sox fans” crap! You know, 1918 is a long time. 1960? Do you have any idea how many teams (in just football) have not won a title since 1960 or in some cases, not AT ALL? The Cardinals, the Lions, the Vikings, the Saints, the Falcons, and the Bengals. The Chargers, Jets, Bills, Chiefs, Browns and Oilers have not won since the 60’s, either. The Seahawks, Panthers, Jaguars, and even Texans (what the heck) have never won. So, I just named 16 teams with similar fates as yours in a league with only 32 teams. I know it is extra dramatic to tie yourself in with America’s biggest sports story of 2004, but simmer down now. You are nothing close to the Red Sox. ·	Remember yesterday’s blog about not picking against the Patriots until they prove that they can lose? Do you now understand why I have already picked them for the Super Bowl? ·	How long did it take 70,000 Steelers fans to turn on their beloved team? Less than 1 quarter. ·	I want to hear someone (Norm or Dale come to mind) tell me again that they prefer the NFL before replay. You had two crucial reversals in this game that greatly impacted the outcome. If the goal of the game is to make sure the team that deserves to win does, then you MUST have instant replay. Even if it is only right 95% of the time. I realize it is frustrating that those other 5% get screwed up, but the logic that you should throw out the system because of that is as silly as suggesting that you should get rid of seat belts because people still die in car accidents. ·	Yes, Big Ben is a rookie. Yes, he played like it. Do we need to go over the details? ·	Tom Brady makes all of the good throws and none of the bad ones. I don’t mean to get carried away about him, but if the name of the game is make big throws and don’t turn the ball over, then how doesn’t he get recognized as a top 3 QB in the league right now by everyone? ·	I don’t get Bill Cowher not going for it on 4th and goal, early in the 4th Quarter down 31-17. When you play it safe in the playoffs, you lose. Mike Sherman in 2003, Marty Schottenheimer every year, Herman Edwards last week all played overly conservative at the most crucial moment of the games they lost. Cowher may have lost either way, but if you score a TD, maybe the Patriots get a bit rattled. Instead, you kick a FG that really doesn’t change the situation (you still need two more scoring drives to tie) and the Patriots shake it off by getting the FG right back. ·	And what is Phil Simms doing agreeing with that call? ·	14 Takeaways in 3 AFC Championship games sure makes football look pretty easy for New England, eh? We gave it our best shot," Rangers owner Tom Hicks said. "We're moving on. They are still continuing to talk to other clubs. We clarified on Sunday what his role would be here. We already have a first baseman who is a part of the core of our team. The position we were interviewing for was DH." Since they have a first baseman already, and we all know that they have plenty of financial flexibility, I am sure they are ready to lock up Mark Teixeira, right? Somehow, Tiger Woods wins first stroke play event in 16 months …I guess we can't blame his wife for screwing things up anymore. Jim Bates to run that woeful Packers defense ..
Atlanta at Philadelphia: Figuring that weather will play a dramatic role in this game, and figuring that the Eagles will be trying to play themselves as much as Mike Vick, this game is difficult to predict. But, I think if you can believe anything in this world, it is that Jim Johnson, the defensive coordinator of the Eagles, will not back off of his blitzing schemes that have stymied even the most seasoned QB. The blitz actually should be most effective against Vick. The name of the game against him is to make his arm beat you over his feet. His feet can beat you as he is the fastest man on the field. With snow, he should only get better, as he knows where he is going, but the defenders do not. If you blitz with 8 or 9, then his running lanes are shut down and he will be forced to throw the ball. That is how you beat him. I would so like to be wrong, but I see Philly finally getting over the hump, and beating the Falcons, 24-17. New England at Pittsburgh: Ah yes, the game we have all be waiting for. Pittsburgh, likely the most impressive team to be an underdog in a playoff game since the 1972 Dolphins were dogs entering the 72 Super Bowl versus Washington. But, again, I am trusting the coaching of Belichick and the quarterback play of Tom Brady. Don't underestimate the play of special teams in this one, as the 2001 AFC title game between the same teams at the same stadium was turned on 2 special teams touchdowns from the Patriots. The Patriots are 8-0 in the playoffs with Belichick and Brady, and as far as I am concerned, will not be picked against until they lose. There was expected to be a big story out of the Rangers yesterday, but the guess was for a player signing of significance (Delgado) and not contract extensions for the GM and the manager. Did anyone see this coming? And was it a transparent ploy to knock the socks off of Carlos Delgado, or did Tom Hicks really just coincidentally decide to do this on the same day that they were visiting the desire of their hearts? The day's announcement was quite a turnaround for Hicks, who on Tuesday twice said the Rangers were not focused on contract extensions this week, but rather on improving their scouting and development programs in the Dominican Republic. But, he added, he might "discuss the future over a cocktail." Hicks said the final details of the extensions were worked out over dinner Thursday night. "We want to have the managerial talent to have a contending team for many years along the lines of what Atlanta has done with [manager] Bobby Cox and [GM] John Schuerholz," Hicks said. "I've never felt better about the management of the Texas Rangers than I do now." So, if I understand this correctly, on Tuesday, there was no sign of this going down? But on Friday it’s done? Did Hart and Buck get Hicks drunk before having him sign their extensions on the plane? And if it was done to convince Delgado to sign, and he doesn’t really care about the stability of the management team, but rather the size of his contract, then don’t you look pretty stupid making a decision to impress a signing who doesn’t sign anyway? I am trying to understand what all of this means, but that is always difficult when following the day-to-day developments of the Rangers. At least it appears they will go to any length to sign Delgado. With that the case, one must hope that it gets done quickly, as the Rangers have claimed they need his answer quickly rather than to be used to bid up the Mets and Marlins. OTTAWA (AP) - An ardent hockey fan who died this week used his obituary to denounce the NHL lockout. Archie Bennitz, 84, instructed his son to criticize NHL commissioner Gary Bettman and union leader Bob Goodenow in his death notice. Bennitz called Bettman and Goodenow "skunks for denying him the pleasure of watching the NHL on TV this year," the obituary in the Ottawa Citizen read. Bennitz also urged Bettman to step aside in favor of Wayne Gretzky. David Bennitz said his father had become increasingly angry during his last month in the hospital as the lockout dragged on. Hockey was the only thing he watched on TV. Devellano, the alternate governor for the Red Wings and their former general manager, said saving the season is far from a priority for the owners. "We want the right deal," he told the Free Press. "The hockey's not important. "My hope and wish is (these talks) start us toward a deal for next season." Even before talks ended Thursday, Devellano told the paper that time had run out to save the season. "The season's done," he said. "There's no chance that the right deal can remotely be done in the next little while. There's too much work to be done. There's too many I's to dot and T's to cross. You are not going to get this collective bargaining agreement done in two days, three days, one week or two weeks. It's over." If the league really wanted a settlement, it would have grabbed that offer from the players and signed as quickly as possible. At worst, it would have used that offer as a starting point for negotiations. It did neither, for the simple reason that the plan is what it always has been -- to shut down for a year. Under the interim deal, players will be paid $2,750 per qualifier, up from $2,000 in qualifying for the 2002 tournament. The bonus for each win, which had been $2,200 to $4,000, depending on the opponent and whether the game was in the United States or abroad, will rise to $6,250 for games against Mexico and Costa Rica, and to $4,750 against Guatemala, Panama and Trinidad and Tobago. This weekend there are many wonderful story lines. Might it snow? Might the Eagles be the first team ever to choke 4 straight times in a conference title game? Can the Patriots extend their quest for NFL immortality? But, most interesting to me might be the efforts of Steelers Coach Bill Cowher to finally get the monkey off his back. The longest tenured coach in the NFL, he was hired by the Steelers in 1992. Since then, he has coached 13 years with 8 resulting in 10 wins or more. His regular season record of 130-77-1 seems amazing in this era. His teams have only missed the playoffs 4 times during that time, as the Steelers have owned the AFC North more often than not since he was hired. Maybe the most impressive thing about what he has done is that it might be difficult to name his best player for these 13 years. No Peyton Manning or Brett Favre at QB for Cowher. Just Tommy Maddox, Kordell Stewart, Mike Tomczak, and Neil O’Donnell. And yet, it is not all perfect for the man with the wild chin. He is 8-8 in the playoffs (this weekend’s foe Bill Belichick is 8-1) and a very concerning 1-3 in AFC Title games, given the fact that all of them have been played in Pittsburgh. Some are saying he can’t win the big one. I guess the evidence supports their claim, but how do you not marvel at his accomplishments if you look at all of the evidence. No one loses more players every year to free agency. No one shows more consistency as a coach. And yet, we are quick to dismiss those who don’t win the big one. I am torn, frankly, but after losing Title games in Pittsburgh that they were expected to win (1994, 1998 , and 2001) maybe they will win a Title game Sunday they are expected to lose. Mavs grind the Clippers down in a classic result of playing back to back games. The Clippers played in San Antonio on Wednesday night, and like the train arriving on time, the Clippers ran out of gas about 2 ½ quarters into their game against the Mavericks last night. In fact, the Clippers scored 29 in the Second half last night. That doesn’t win in this league. The News reported that Dvoracek claimed alcoholism was a debilitating medical condition that prevented him from completing the season. Also, a 15-year-old NCAA rule interpretation states that alcoholism can be used to grant a medical hardship waiver. Two sources close to Dvoracek said in December that the 6-3, 294-pounder had gone through extensive medical counseling for his alcohol addiction. THERE COULD be an 11th-hour breakthrough in negotiations to save the NHL season. A league source told the Sun last night that talks to get a new collective bargaining agreement in place took a major turn yesterday in Chicago when the NHL Players' Association introduced the possibility of a six-year agreement, which would include a salary cap under certain circumstances. I am still pessimistic, but now it is time for everyone to get serious about saving the sport. Also, allow me to note for the 1,000th time, that any progress is made because the players swallow their pride and make it. The owners are too busy trying to figure out how to sell their teams and get out of hockey. Advantage players. I hope the changes to the appearance of the blog are not too much for you to take today, but it is time for a face-lift, and this will no doubt change the course of blogging humanity. As one of the 13 soccer fans who read your blog, I just wanted to give you props for the entry today. One thing that you should have mentioned is the completely random draw and the fact that the home team is also random. My personal favorite thing about the FA cup is the situation where a small team ties and all of a sudden Man U has to travel to a rinkie dink stadium for a rematch. Great point, Luis. The completely random draw at the start of each round is pretty interesting, as it could match up the David versus Goliath match up, or it could match up David against David or Goliath against Goliath. The other interesting thing is that the site is random. So, the big team visits the small team in their home stadium. Imagine the Yankees playing a game of consequence at the smallest, dingiest minor league park in Delaware. Could you please explain to me how the FA Cup works? I understand that Premier League has a 38 week season where they play each other 2 times and then I assume have a playoff at the end. But now I hear about this FA Cup being played now…what is this???? Please help me I am trying to learn about English Football. Well, there is no playoff for the regular season. That is what is tough for American sports fans to grasp, but in most of the world, the winner of each league is based on the regular season. 38 games, whoever has the most points (3 for a win, 1 for a tie) wins the league. The FA Cup is run at the same time, but is completely different. Its prestige is huge, and like I wrote yesterday, any team from any level could win. Also, some teams are in the Champions League (which is the European club championship) and there are a few other competitions as well. So, conceivably, a given club could be in 4 competitions at the same time, with a game on Saturday for the Premiership, Tuesday for the FA Cup, the next Saturday again for the Premiership, and then the following Wednesday for the Champions League. This is why depth is so important on your roster. You cannot use the same players for all of these games without your stars wearing down. Hope that makes some sense. If you want to mount the argument that coach / general manager duties are too much for one person to handle, then you are going to have to explain why three of the four most successful teams in the league this season come out of structures where one guy is in charge of the football operation. You’re going to have to explain why Bill Belichick of the New England Patriots, Andy Reid of the Philadelphia Eagles and Bill Cowher of the Pittsburgh Steelers were not so busy, so stretched or so overburdened that they couldn’t coach their teams into a conference championship game. Iverson is convinced that he could have accomplished everything Vick has in the NFL, despite his size. Iverson and Vick are both 6 feet tall, but Vick, at 215 pounds, weighs 50 pounds more than Iverson. "He might have made it in the pros, but size would have been a factor," Vick said. "He would have had to get up to around 200 pounds. But he definitely had the potential." There's no doubt in Iverson's mind. "Absolutely," Iverson said about whether he could have made it to the NFL. "Football has always been my favorite sport. I tell people all the time, especially my teammates who think I'm bragging, that I was a better football player than I am a basketball player. I could have played in the NFL. People who have seen me play in Virginia know that I'm not bragging. "I think [Vick] knows, too. If he doesn't answer that correctly, then let him know I'm going to call him and cuss him out." Cowher, who has been the Steelers' coach since 1992, has won more regular-season games and division titles than the Patriots' Bill Belichick -- and just as many playoff games. When the two went head-to-head in the same division for four seasons from 1992 to 1995, when Belichick coached the Cleveland Browns, Cowher won three division titles to Belichick's none. But amid the one-sided comparisons is the singular statistic that explains why Belichick is the resident wizard among NFL coaches and Cowher is considered to be merely among the elite. Belichick has won two Super Bowls to Cowher's none. And it's not just winning the Super Bowl that has been the problem; it's getting there. This is the fifth time since 1995 that the Steelers have reached the AFC title game, but they have won only once and were upset three times as a favorite. And now a quick thought on one of the best competitions in the whole wide world of sports. It is called the FA (Football Association) Cup. Every year in England, every team that plays soccer enters this tournament. This year, that means over 600 teams. Think about it, you are on a team that plays for fun on the weekend, and if you win enough games, you could win the right to play Manchester United or Arsenal. It is truly a one of a kind event. The top level teams (Premiership) do not play until after Jan 1, but all of the other teams play each other to earn their way into this tournament. Imagine all of the teams in professional baseball getting to play eachother in a single elimination tourney. Rookie League teams play the Yankees and Dodgers. Triple A plays Single A and whoever has a better team advances. This of course is played on off-weekends during each team’s respective season so many teams at the top level attempt to win games without using their top players. If you use your top players each game of each competition, you wear them out. So, your rationale is that you can beat a low level team with your substitutes playing. Nice theory, but it doesn’t always work. Burnley 1, Liverpool 0 …That is right, my Liverpool lost to a AAA team, basically. Manchester United plays Exeter today …Because they already tied them at Manchester. Exeter is a level 5 team, or the baseball equivalent of a rookie league. I would imagine Manchester will not play with fire again today and roll out a solid lineup and try to win by 6. 1:30 on Fox Sports World. Cross town rival, Manchester City was eliminated last week by Oldham Athletic from AA. It would sure be fun to see the baseball teams do this over here, but of course, affiliation is a major difference. The baseball teams are all related (All MLB teams have a AAA, AA, A, and Rookie league team), whereas the soccer teams over there are all independent. For the first time in NFL history, black quarterbacks will be starting for opposing teams in a conference championship game, Vick for the Falcons and Donovan McNabb for the Eagles. It will not be the first time they have played against each other -- they met in the divisional round of the 2002 playoffs with Philadelphia winning, 20-6 -- but the stakes are considerably higher, as is the significance of their roles in such a big game. Gillispie given 8 years!! !…Which begs the question, given the extensions Franchione and Gillispie have received for minimal accomplishments and major promise for the future, what would a coach have to do not to get a huge extension down there? "Doug is allowed to look at females," Jackie explained to the Times. "I would prefer he didn't." On Tuesday, she said that quote is dredged up too often and doesn't accurately characterize her feelings. "Women are everywhere, they're going to see him and he'll see them," she said. "If you had a girlfriend and guys were looking at her all the time, how would you feel? If they were asking for a phone number right in front of you, wouldn't you be uncomfortable?"